My friend Abbie from Comely Park Primary has asked me to write her a story about horses. This is quite a challenge for me, as I know very little about them. When I was about ten, most of the girls in my class liked horses and would gallop around the playground at break pretending to be champion stallions or their riders. On weekends they would go to the local paddock and ride in a line around the nearby fields. The idea of sitting on such an enormous animal scared me to death, so I got myself a little reference book and became the class expert on dog breeds instead! Recently I have discovered a type of horse that would have suited me perfectly as a child. For the past 20 years or so a huge following has developed for miniature horses which at their full height are only about as big as a greyhound. Now that’s a horse I could handle! 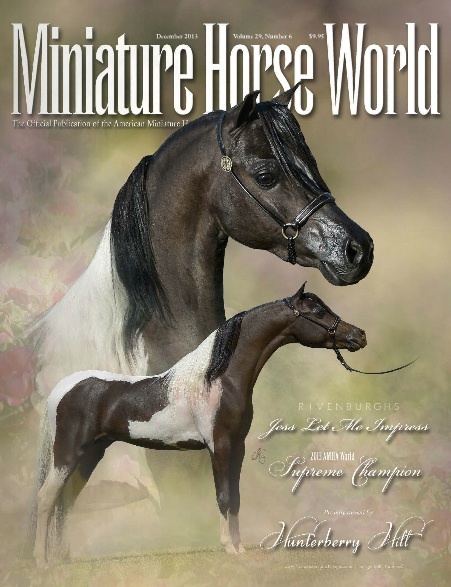 There are miniature horse associations in America, Canada, New Zealand, Australia, South Africa, the UK and Europe. Although miniature horses have existed for many centuries (and were particularly popular among European nobility in the 17th century) it was not until 1978 that the American Miniature Horse Association was formed to establish the miniature horse as a distinct breed. 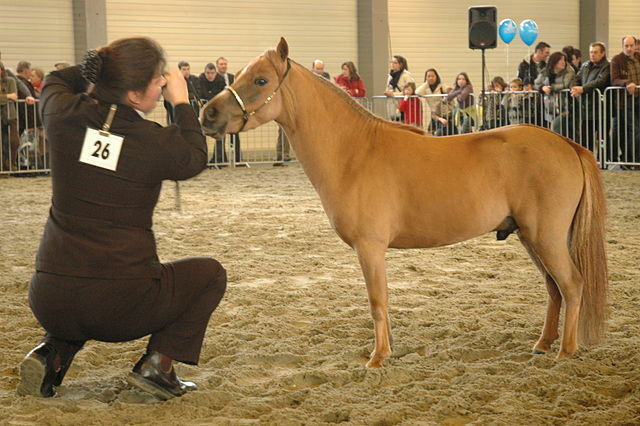 The British Miniature Horse Society was formed in 1992 and it promotes the idea that miniature horses, unlike Shetland ponies and Welsh ponies, should have the same proportions as a standard-sized horse. 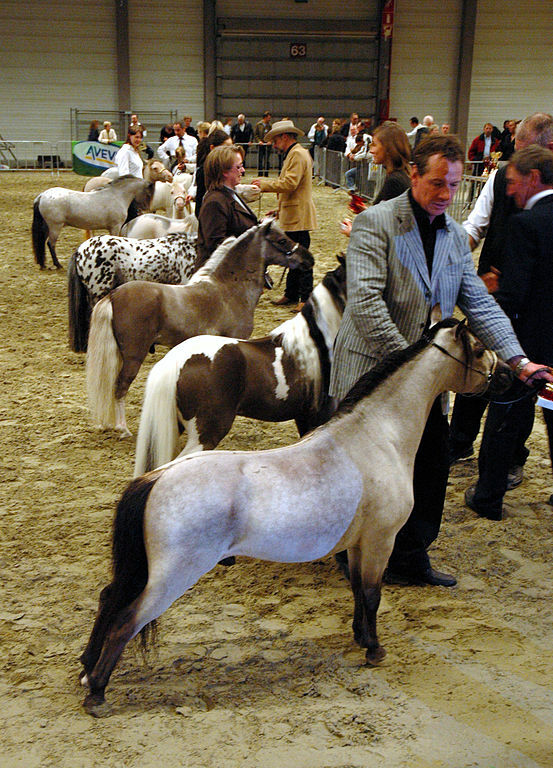 There is some disagreement about this among miniature horse breeders, as certain associations allow pony characteristics (a longer body, larger head and shorter legs). 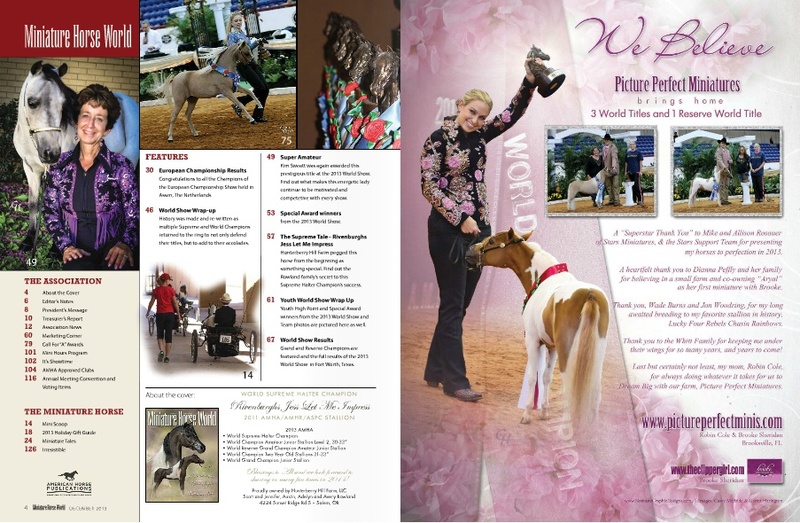 The Anglo-European Miniature Horse Society explains the different types of horses HERE. 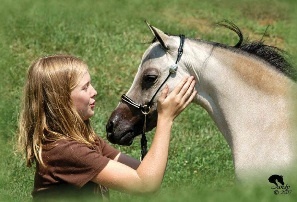 Although a miniature horse can be friendly and affectionate, it can’t really live indoors like a pet dog or cat. They are promoted as ideal for young people or those not physically strong enough to manage a full-sized horse, but you do have to give them the care and facilities that all horses need, and they are too small for an adult to ride. In some places they are used to help people with disabilities (like a guide-dog) but this can be problematic when they need to stay indoors for long periods, or get in a taxi! It must be remembered that a horse cannot be housetrained, so having a guide-horse could get a bit messy! I wish I had known about miniature horses when I was younger. Then I might have joined in the galloping at lunch break! After 20 years in Scotland, I have got very soft when it comes to braving the icy chill of a Canadian winter. This Christmas, however, my family and I spent a great week experiencing snow, ice and winter sports in the small Ontario town I grew up in. As it turned out, our timing was perfect. 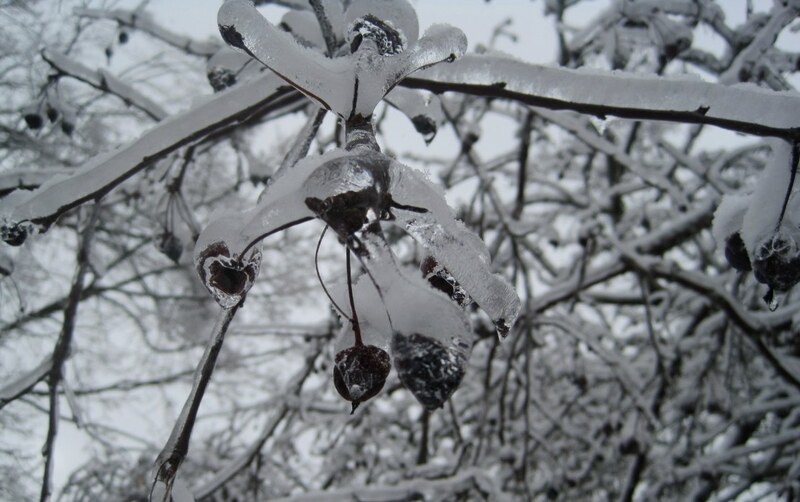 We arrived right after the worst ice storm in a decade, which coated trees and overhead wires with such heavy ice that many branches came down, crushing cars, damaging roofs and knocking out power for over 300,000 people! 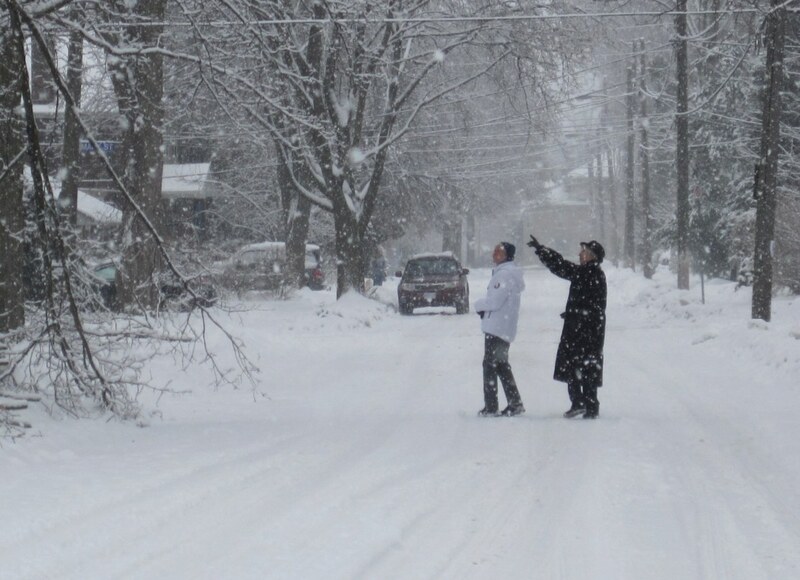 The city of Toronto was very badly hit, and lots of residents sent in their photos of frozen branches and fallen trees to a news website HERE. Luckily for us, the worst of the storm had passed by the time our plane touched down in Toronto Airport, so we were able to collect a rental car and drive very carefully along Highway 401 to Guelph. The next morning we took our first walk out into the winter wonderland, bundled up warmly in down-filled jackets and woolly hats! The snow was still falling as we hiked down the empty roads, marvelling at the size of some of the branches that had been sheared off by the weight of the ice. Down by the river there was a keen wind that made my nose and fingers sting – a sensation I haven’t felt for a long time! 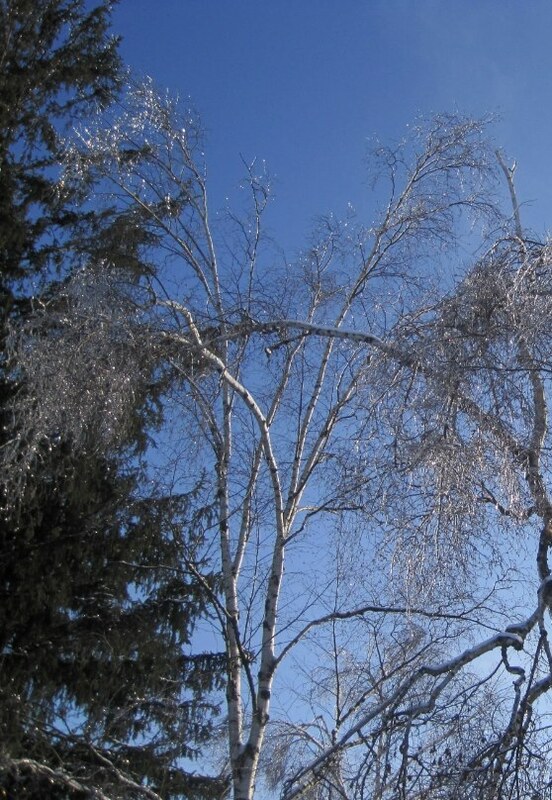 The next day was bright, and the sun transformed the ice into a billion sparkling diamonds covering the trees. 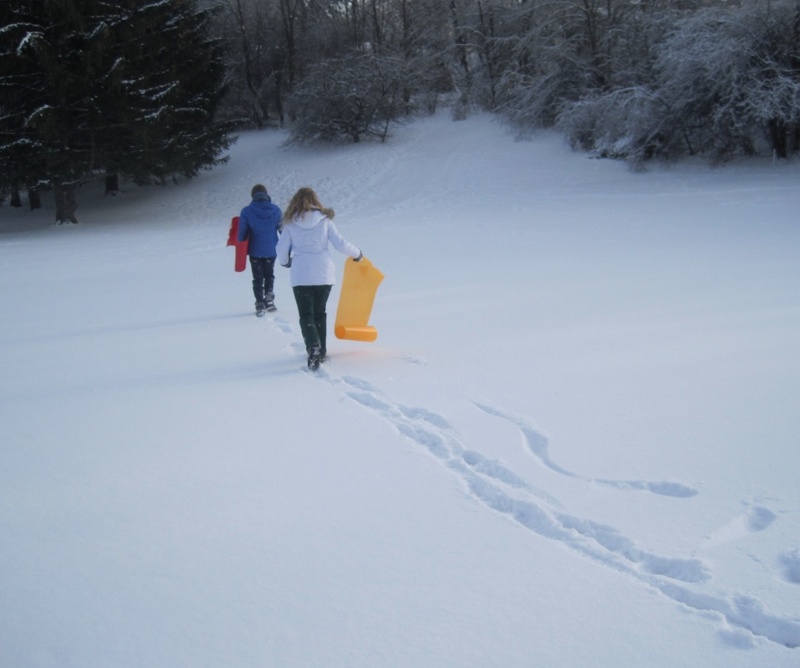 We set off to a nearby golf course where six inches of powdery snow lay on top of a slippery layer of ice underfoot. The kids borrowed Flying Carpets and climbed a short hill to start off with, just to test out the equipment. They soon discovered the plastic sheets were incredibly slippery, but they also allowed you to feel every bump of the ice underneath! Once the kids mastered the small hill, they headed for a much bigger one! I stood and watched for a while, but the minus 5 degrees Celsius soon got to me and I headed off for hot chocolate and a warm kitchen. 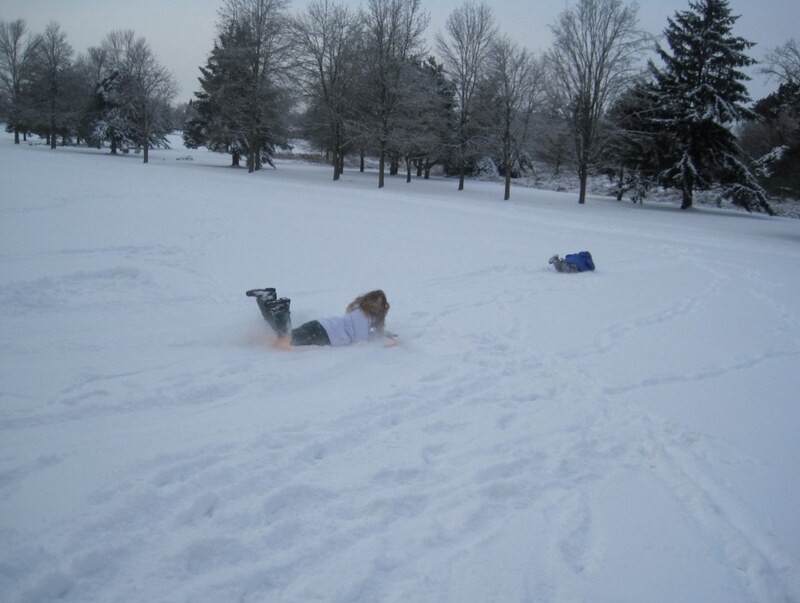 When the kids finally came in, they were caked in snow with bright pink cheeks and frozen fingers. The great Canadian outdoors had been a big success! One final winter sport had to be experienced – the outdoor ice rink. 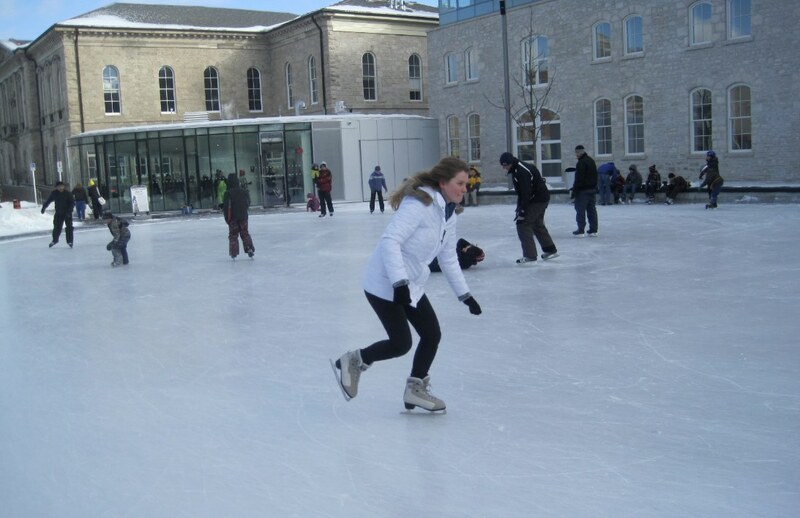 This one at Guelph’s City Hall was just the right size for my daughter to do a few laps. My son and I stayed warm and cosy in the music shop across the street, watching the skating through the shop window as we sampled electronic keyboards and plucked on ukuleles. For me, this was a lovely trip down memory lane, visiting family, old haunts and childhood friends. For my own family it was an exciting taste of serious winter, though I think the novelty of snow and ice would soon wear off if it happened every year! Our flight home was on time and quite uneventful, but we arrived back in the UK just before a huge Polar vortex rolled down from the Arctic and plunged much of North America into record-breaking low temperatures. 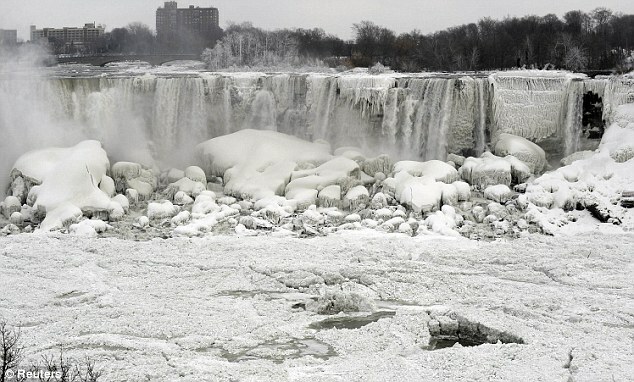 Even Niagara Falls, which sees more than six million cubic feet of water flow over it every minute, froze over completely! Thousands of flights were cancelled as temperatures dropped to minus 25 degrees Celsius and the wind chill factor brought this down to minus 50 or more. 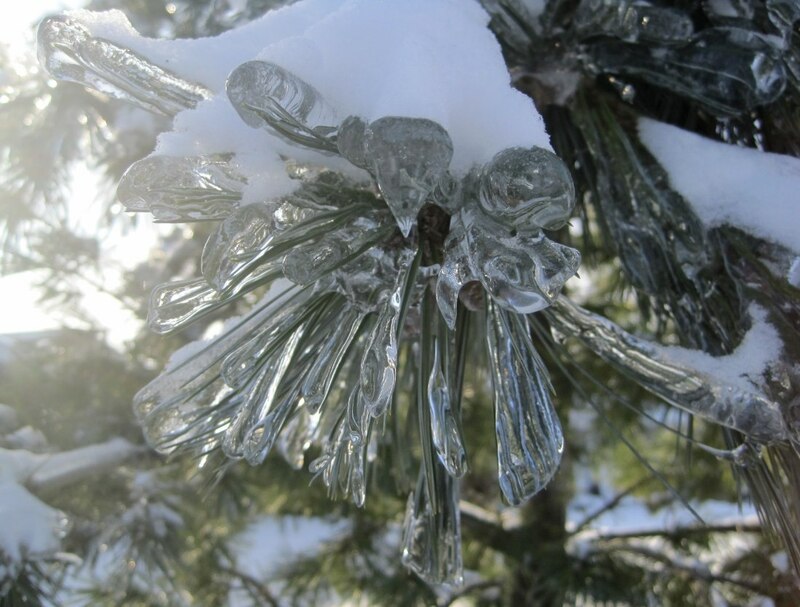 Although there have been milder temperatures in Canada and the US more recently, it seems weather forecasters are expecting another cold snap to follow shortly. I for one am very glad to be home!